Harry joined Prestec UK Limited as a graduate Quantity Surveyor in October 2017 after completing his studies in Sport and Business at Manchester MET. During his time here, to broaden his experience and understanding of our Business functions, Harry has had hands on experience in all areas, working on projects with our skilled operatives, estimating with our Managing Director and also assisting our Contracts team. To progress further, Harry has now committed to studying construction in the built environment for the next 2 years at Walsall College which will award him an additional qualification to progress his career. 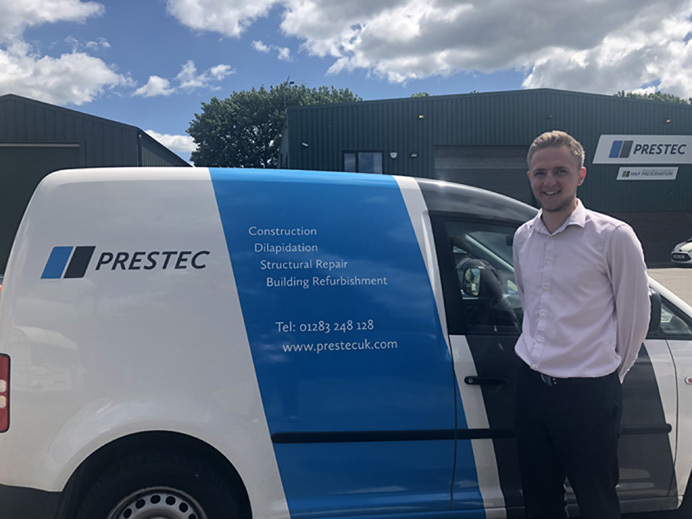 Harry quoted "I have really enjoyed the variety of challenges I have faced since joining Prestec and the support I have been given has been fantastic. It's a really great place to work and the encouragement & commitment for employees to progress their skills and knowledge is fantastic"